Sauté peppers, onions and garlic in olive oil until tender (5 - 7 minutes). 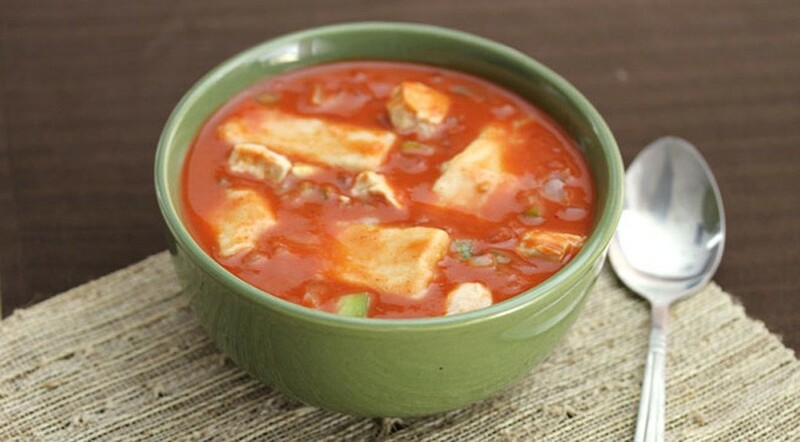 Add tomatoes and enchilada sauce and simmer 6 - 8 minutes. 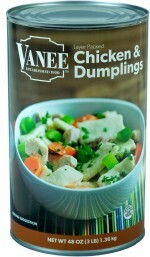 Place entire can of CHICKEN & DUMPLINGS in a large mixing bowl. Add tomato mixture. Place in baking pan. Place in oven (350 degrees F) for 30 minutes or until heated through. Yield approx. 8 servings.